Fungus Gnats are a type of adult fly that is attracted to homes that have gardens or vegetation. They can be quite the nuisance but more than that, their larvae can kill your plants! You have spent half your summer tending to the lovely geranium plant and waiting for it to flower in vibrant hues of purple and suddenly the plants growth is stunted and it dies. The reason: fungus gnat larvae ate into its roots! This can be quite the nightmare for home gardeners and greenhouse owners because the fungus gnat larvae love to dig their teeth into the roots. So are there any means of controlling the damage? Yes, most definitely! There are several ways by which you can considerably reduce the damage and kill the fungus gnat larvae. There are several products that can be used for killing fungus gnats and removing any infestation. You have probably never heard of fungus gnats before today and even if you have, you probably never found the perfect antidote. The question is what should you look for in products that will help you kill fungus gnats? The most important aspect is the composition. For example, some products use a combination of chemicals or hard chemical solvents like sprays that contain Pyrethrins or cyfluthrin. It is always recommended to go with gnat sprays, powder or other products that are considered as natural or organic. This could include biological products as well. The second most important aspect is the use of the product you are intending to invest in. This depends to a great degree at the severity of the fungus gnat infestation and the objective of the product use. For example: if the potted plants at your home show severe infestation then you would need to kill the fungus gnat larvae so that some plants can be rescued. In such a scenario you would require a larvae killer. On the other hand, if the infestation is minimal and you just want to get rid of the adult flies then a killer spray or gnat repellent would be enough. The final important aspect to consider depends on whether you need a solution for fungus gnats or are you looking for something that can be used for different pests like spider mites and aphids? There are several products that will not only kill fungus gnats but also reduce infestation of several other common species of plant pests. There are plenty of products available in the market that can effectively kill fungus gnats or reduce infestation. But, Are they all safe for use? It is not easy to find the right product and hence, we have created a list of 6 products, which provide different benefits and also serve the purpose of eliminating fungus gnats permanently. It doesn't get any better than this! 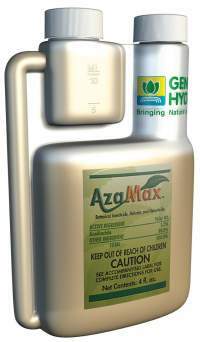 The AzaMax General Hydroponics GH2045 is a power-packed insect growth regulator that acts as the terminator for fungus gnats. It is a natural product, which means there are no environmental risks and once sprayed it will not damage your plants. The active ingredient is Azadirachtin(A & B) and is considered as a highly potent tetranotriterpenoid that has been isolated from the neem seeds. It is a botanical insecticide, miticide, and nematicide that perform as an antifeedant, repellant and insect growth regulator (IGR). The good news is that it can kill fungus gnats with ease and can be used for indoor and outdoor plants, trees, and shrubs. AzaMax can effectively control and kill fungus gnats as well as thrips, spider mites, whiteflies, aphids, worms, leaf miners, leafhoppers, beetles, mealy bugs, scales, and other soil borne insects and pests. Gnatrol is the perfect biological larvicide that has been created to completely eliminate fungus gnat larvae’s. If you have been looking for something that not only kills fungus gnats but also wipes them out from your greenhouse or garden then this is what you need. 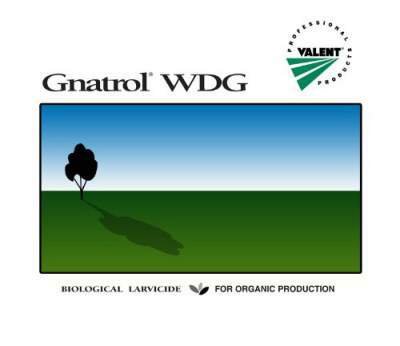 Gnatrol WDG can be used on several different varieties of plants, bulbs, vegetable sets and much more. The WDG stands for water dispersible granules also known as dry flowables. They are basically a type of wettable powder existing in the form of granules. Once you mix them with water, the granules break up into fine particles. The advantage of using WDG is the fact that it is residue free and can easily be measured for the more effective application. How Gnatrol WDG works is that once you apply it using sprinkler systems, they are ingested by the larvae. Upon ingestion, the fungus gnat larvae become paralyzed and stop feeding leading to death within 24 hours. Gnatrol WDG is available in 195gm and 500gm packs. Fungus gnats can destroy several species of plant life if not eliminated or controlled. In fact, their infestation can be widespread and occur in moist soils. The best way to take care of an infestation is by applying a powerful solution like the Hydro Organics goGnats. Hydro Organics goGnats is a liquid concentrate that can be sprayed on the affected plants and the nearby area or landscape. Those who have applied it recommend it as a powerful gnat larvae killer and are environmentally safe as well. Depending on the nature and intensity of the infestation they can be applied directly on the infested area at least 2 times a week for immediate results. The exterminator is here! 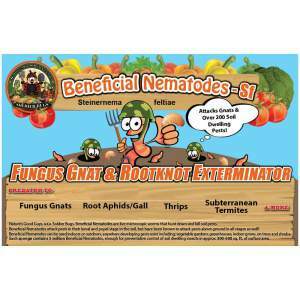 The Fungus Gnat & Rootknot consists of 10 million beneficial nematodes that will effectively kill fungus gnat larvae. If you are wondering what a beneficial nematode is then here's the real thing - it is an ambush predator. The most common beneficial nematode is known as Steinernema carpocapsae (Sc) and when applied to the infested area, they will attack and kill fungus gnat larvae. Fungus Gnat & Rootknot provides 10 million beneficial nematodes that can be added to the soil or around the roots of affected plants as and when required. This pack will be enough to tackle infestations over a surface area that measures 600sq.ft to 1,000sq.ft. Apart from fungus gnat larvae, it can kill more than 200 different species of soil pests. If you have been looking for something that will trap adult fungus gnats then the double-sided universal insect monitor cards is something that would be worth checking out. The monitor cards available in yellow color are a powerful trap that will attract each and every gnat that is a nuisance in your garden or home. The double-sided universal insect monitor cards is a non-toxic way of pest control. What makes these cards really effective is the fact that each side of the monitor cards has a different color. On one side it is the common yellow and the other is blue and this helps in increase effectiveness as well as durability of the cards. Another interesting feature is that the cribriform traps measure 4" x 8" in size and this facilitates its usability options like it can be hanged to a ceiling fan or on the garden fence. As the name says, this fogger spells the doom for fungus gnats! If your garden or indoor plants have been infested by the highly dangerous fungus gnats then it is time to get rid of the nasty flies. Welcome to the world of Doktor Doom! The Doktor Doom total release fogger available in a 12.5 ounce canister and can be used in home gardens, greenhouse, vegetable and ornamental plants, fruit and vegetable storage areas, and even on fruits and vegetables post-harvest. The active ingredients in Doktor Doom total release fogger include Pyrethrins and Piperonyl Butoxide. Most of the top pesticide formulations across the world contain either Pyrethrins or Piperonyl Butoxide and some like this fogger contains both. Pyrethrin is a type of organic compound that is considered to be a potent insecticidal. A 5.5 ounce can, has the ability to kill adult fungus gnats in a 5,500 cubic feet area. The salient aspect is that it can kill other pests as well including spider mites, whiteflies, aphids, mealy bugs, scale, and thrips. Each of these fungus gnats killing solutions has different abilities. Some can be used to terminate the adult population while others can kill them at the larvae stage and thus prevent infestations from growing. At the end of the day, it is important to make an informed choice as each home has a different requirement and there is no "one solution for all requirements!"